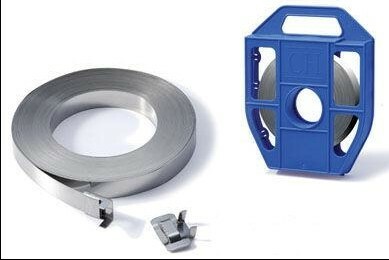 Stainless Steel strap/stainless steel band/ stainless steel tape used with our stainless steel buckles and strapping tools. Stainless steel strap material in a shiny finish, offers good resistance to oxidation and many moderate corrosive agents. It can be wildly used in fixing pipes, tubes, cables and other related industries, especially in the environments where high resistance of oxidation is required. Material: 201, 304 or 316 stainless steel, special size need pls contact us .